Thank you for your interest in Chashama’s Space to Present Program. 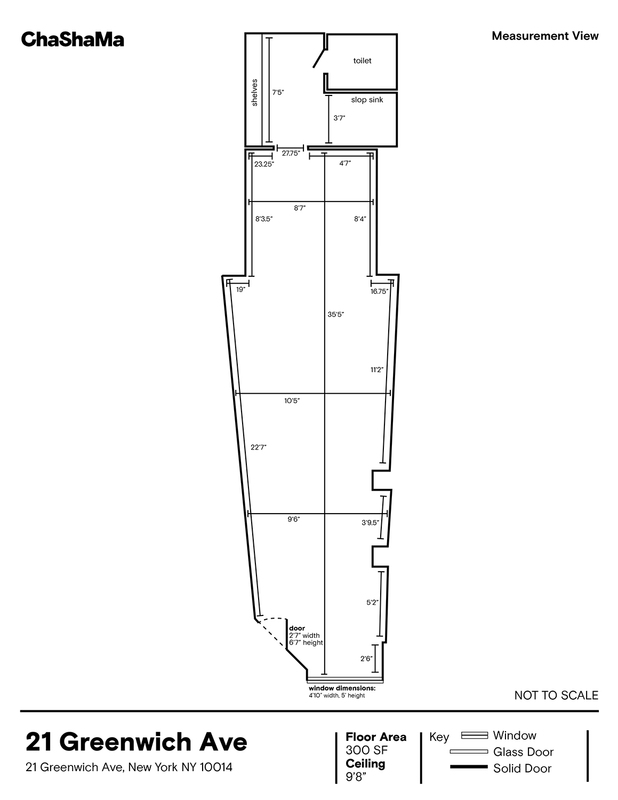 This application form is specific to the new venue 21 Greenwich Ave. (Greenwich Village, NYC). Please read all the notes about this space before submitting your proposal. This space is available beginning in February, 2019. The space has been painted white and will be outfitted with track lighting. The space is approximately 300sq ft of exhibition space. Exhibitors are responsible for scheduling and staffing at least 20 public open hours per week. If you need help, we can connect you to a list of potential gallery sitters, but they must be paid at least minimum wage ($15/hr in NYC).